Designed to help prevent flathead. For babies from birth upwards. Recommended by Therapists & Paediatricians. Gently releases pressure from the back of the head. Ultra comfort in the form of a butterfly-shaped pillow to help prevent 'flat-head' syndrome which can sometimes be suffered by babies in the first few weeks while the skull is still soft enough to be moulded. This means that the shape of the head can be altered by any pressure, usually at the back of the head, giving the baby's head a flattened look. This condition is often called deformational plagiocephaly and can be prevented by using a gentle head support. 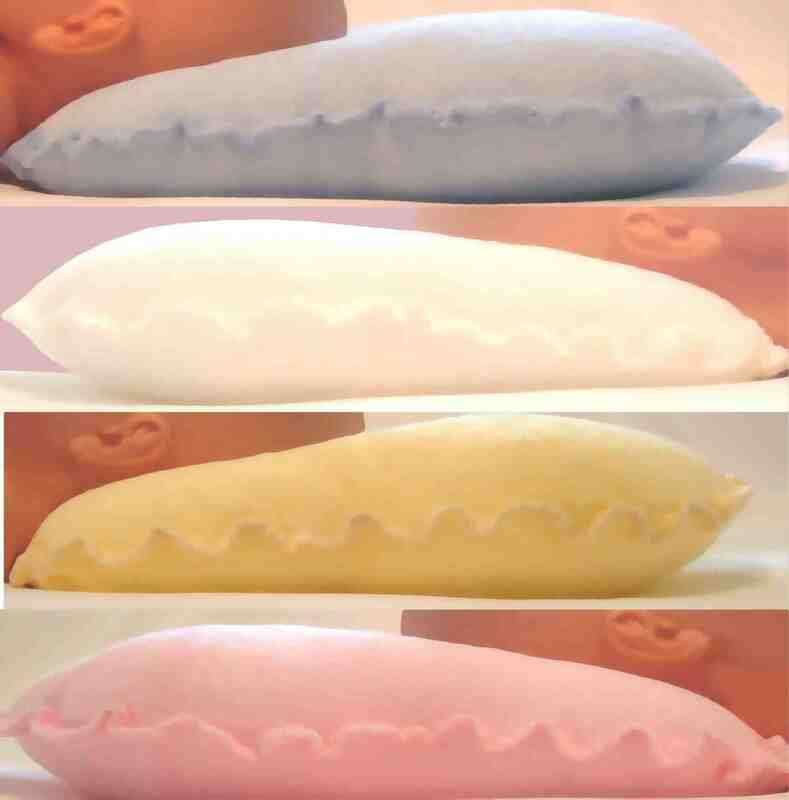 The Butterfly Baby Head Support Pillow by anti-pressure pillows is unique as it can be used on either side and does not have a front and a back like other pillows. Therefore, the Butterfly Baby Head Support Pillow gently cradles baby's head in the centre of the pillow, which is slightly elevated on both sides, and still allows their head to move freely whilst being naturally supported in the centre of the pillow and not pressing directly on the occiput (the back of the head). The Butterfly Baby Head Support Pillow is designed for babies from birth upwards. The aesthetically pleasing shape of this little pillow together with the soft pastel shades available means that when your baby becomes a toddler they will still love to use their special little pillow. Easy to pack and can be used anywhere. Available in: White, Lemon Yellow, Soft Pink, Sky Blue. For babies from birth upwards. Designed to help prevent flathead. Recommended by therapists & paediatricians. Gently releases pressure from the back of the head. Tumble dry or dry naturally.